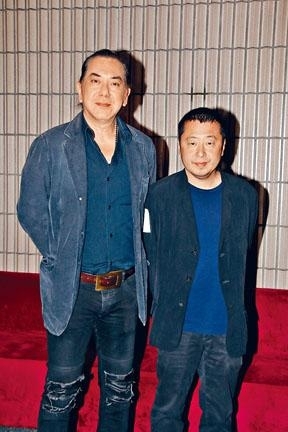 Anthony Wong Chau Sun and Mainland director Jia Zhangke two nights ago were guest presenters at the 41st Hong Kong International Film Festival Award Night. Chau Sun pointed out that although his new film would clash directly with Andy Lau Tak Wa's film, he did not think about the box office. He also would not mind whether the reviews would be good or bad. Wa Jai reportedly invested in his new play, so he was very grateful to have this buddy. Two nights ago Mainland director Jia Zhangke was present. Did he and Wong Chau Sun talk about a collaboration? Chau Sun said, "When we ran into each other we only exchanged greetings. Should I ask him as soon as I get here that there is a bank here, does he want to open an account?" The Best New Director Wong Chun directed MAD WORLD (YUT LIM MO MING) after winning many international film festival awards two nights ago again won the audience's choice award. The Korean film HAPPY BUS DAY won the FIPRESCI award. Chau Sun spent two days to watch eight films and joked that he was half dead from watching them. "Those films were pretty far away. (Do you understand films from other places?) I constantly watch strange things and I get them. The winners are of course entertaining, but some were not too high quality and were very tough to get through; the winners were very outstanding." Luckily this time the four judges' decisions were rather uniform, without too much difference of opinion. Recently many Hong Kong films have been released, Did Chau Sun watch Hong Kong movies? He admitted, "I want to see MAD WORLD. (What about Wa Jai's SHOCK WAVE (CHAK DAN JUEN GA)? For now I haven't wanted to see it, as I don't like to watch action films. I like movies with heavier Hong Kong flavor, if they were about wonton noodle and stinky tofu I would immediately watch them." Chau Sun also noticed that Wa Jai was able to stand up again, saying that he was "Iron Man". However lately Chau Sun has been very busy. After visiting Wa Jai last night he did not go again. He has been busy with a play that was adapted from a famous American playwright's work. This year it will begin its run. Did Wa Jai invest again? Chau Sun said, "Of course, he's a buddy! If not for him I would be in pretty big trouble." Chau Sun's film THE SLEEP CURSE (SUT MIN) would be released later, in direct opposition with SHOCK WAVE. 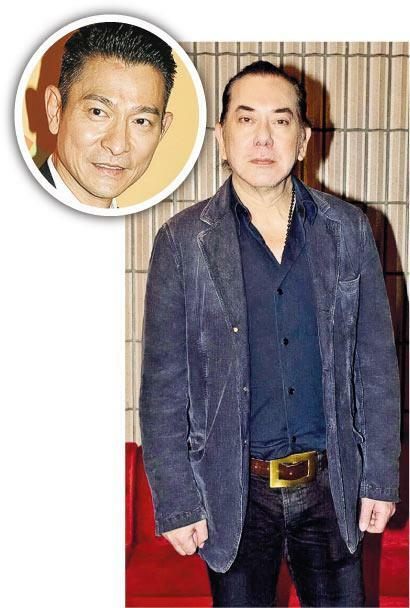 He felt that the two films were of different genres, only both were by director Herman Yau Lai To. Was Chau Sun confident about a victory? "It doesn't matter, it entertains the audience's different tastes. When others sell pate and I sell rice roll they are different too." Earlier SHOCK's facebook claimed that negative reviews were from hired guns and led to a public relations disaster. Chau Sun curiously asked which promotional company it was and admitted that many public relations companies were "very poor". Often the matter could be minimized but they would make matter worse. He found that to be very strange. Would he accept both positive and negative reviews? Chau Sun said, "It doesn't matter, even Cao Cao had a close friend and Lord Guan had a rival. If most people dislike your stuff, then you have to think whether you do isn't right for the market? Would you go to a Muslim country to sell port? People would chop you to death." [2017.04.22] MIRIAM YEUNG DENIES "FREEZING EGGS"